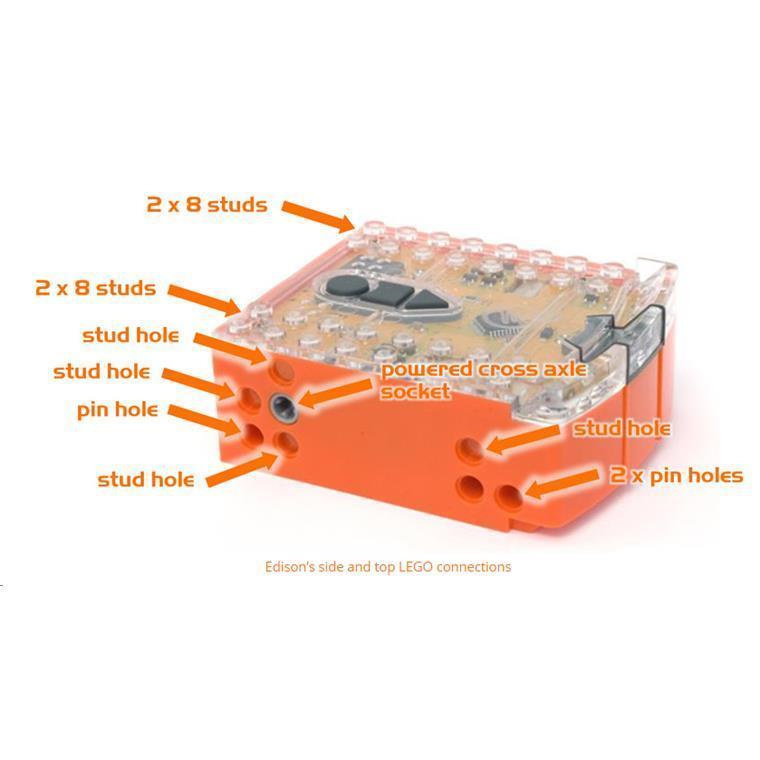 Meet Edison Education STEM V2.0 Robot EdPack1 A Cheap Programmable Educational LEGO bricks compatible Robotics Edison has LEGO studs and holes to suit both LEGO bricks and LEGO technic pieces. 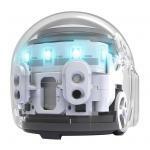 "This clever little robot can be programmed in a number of ways. Three languages using a computer edblocks, edscratch and edpy. 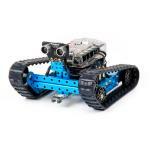 Edscratch is similar to scratch that is taught at code club in schools..."
"The students in class are loving these- a very robust little robot that helps students get started with the basics of coding and programming for a reasonable price. 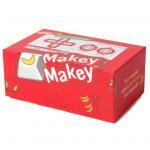 The kids love the ability to create..."
"The product is well priced. It has all of the required features built in for for operating a basic robot such as light sensitivity and obstacle detection. It serves as an excellent introduction to..."
DO NOT PUSH THE MEET EDISON ON GROUND AS NORMAL TOY CAR. IT WILL CAUSE FREE RUNNING WHEEL ISSUE. PLEASE VISIT BOTTOM OF THIS PAGE FOR FREE WHEEL SOLUTIONS. Edison is programmed using EdWare, an icon-based graphical programming language. Programs are downloaded to Edison using the EdComm cable. The EdComm cable plugs into the computer's headphone jack and carries a pulsed audio signal to a high-efficiency LED. The LED converts the pulsed audio signal into light that is received by Edison's line tracker phototransistor and loads the program into the processor. 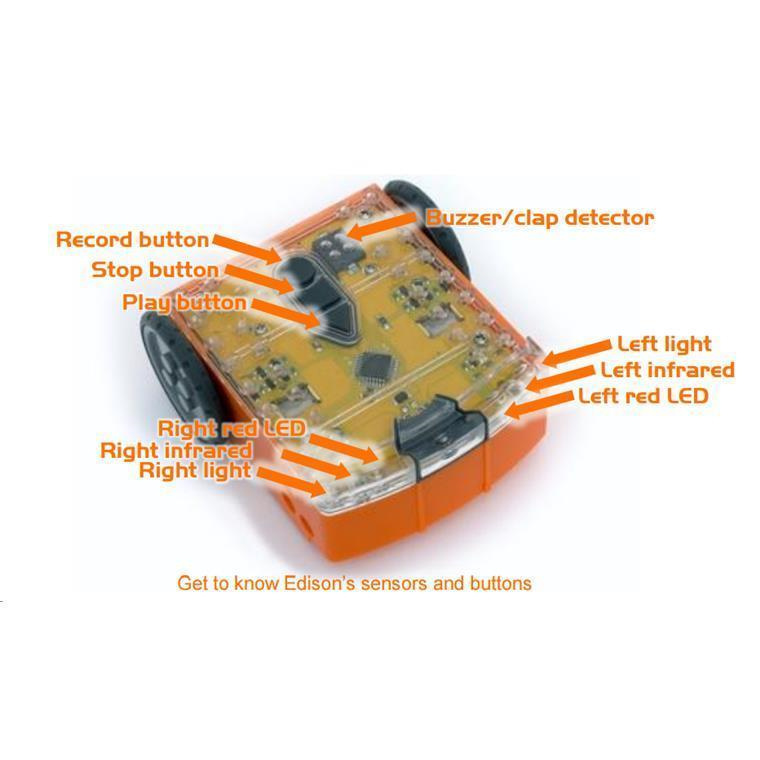 Getting your class started with the Edison robot is easy with these 10 Robotics Lesson Plans. You can use these 10 Robotics Lesson Plans either as they are or as a starting point to develop your own customised Robotics Lesson Plans. 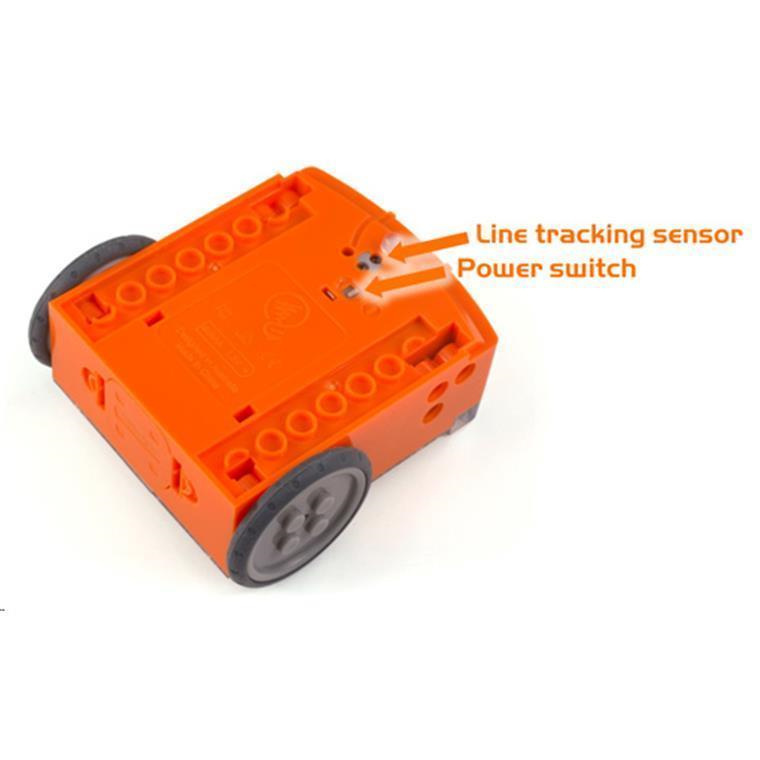 The Robotics Lesson Plans begin with the easier programming icons, such as basic movement behaviours and end with the class favourites, such as line tracking and sumo wrestling. Students of all ages really enjoy the programming process, problem solving and collaboration involved with these Robotics Lesson Plans. You will find that some students will grasp the initial concepts easily and be ready for the next activity. 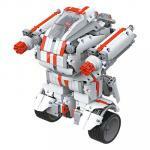 These Robotics Lesson Plans allow for independent learning and transition to the next lesson. As you grow in confidence with Edison and these Robotics Lesson Plans you will develop your own awareness of how best to transition your students from lesson to lesson. How to fix free running wheel issue? Here's the fix for that free running wheel. It's caused by the little worm gear coming off the motor inside. Easy to fix. You'll need a little hex screwdriver or allen key. -Take the clear plastic cover off, and from there you can access the screws that hold the circuit board in place. -Undo the circuit board screws and take the circuit board out. -Pull the rubber cover away from the DC motor and pull out the motor. Once you have done this, you will see the DC motor doesn't have the worm gear on the end of it. -Find the worm gear and reattach it. You can compare to the other little motor for positioning. -Turn the DC motor and observe the wheel now turns. 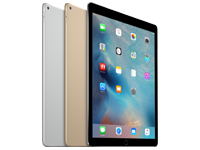 Hi can the software be used on an iPad? Do you sell the Spare Parts Kits for these? Currently we don't but I will look into it for the future. 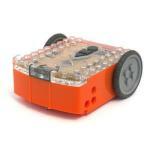 This clever little robot can be programmed in a number of ways. Three languages using a computer edblocks, edscratch and edpy. Edscratch is similar to scratch that is taught at code club in schools and transfers code from the screen into the real world. The Edison has built in sensors and can be programmed to do lots of things. You can also program it by driving it over a special bar code (free download). It has Lego holes and studs so can be used to move models built with your favourite toy building brick. There are lots of videos on You Tube. These little robots are brilliant and excellent value. 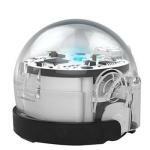 Recommend to all.This clever little robot can be programmed in a number of ways. Three languages using a computer edblocks, edscratch and edpy. Edscratch is similar to scratch that is taught at code club in schools and transfers code from the screen into the real world. The Edison has built in sensors and can be programmed to do lots of things. You can also program it by driving it over a special bar code (free download). It has Lego holes and studs so can be used to move models built with your favourite toy building brick. There are lots of videos on You Tube. These little robots are brilliant and excellent value. Recommend to all. 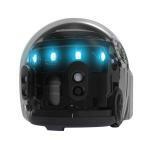 The students in class are loving these- a very robust little robot that helps students get started with the basics of coding and programming for a reasonable price. The kids love the ability to create around it using Lego and to be imaginative in their creations. the add on kit allowed them to construct new robots from the basic machine. Love the guides available onlne to help them (and me) understand how to use these great little robots.The students in class are loving these- a very robust little robot that helps students get started with the basics of coding and programming for a reasonable price. The kids love the ability to create around it using Lego and to be imaginative in their creations. the add on kit allowed them to construct new robots from the basic machine. 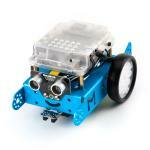 Love the guides available onlne to help them (and me) understand how to use these great little robots. The product is well priced. It has all of the required features built in for for operating a basic robot such as light sensitivity and obstacle detection. It serves as an excellent introduction to programming since it can be programmed using both a block language and Python. In a classroom situation it is robust and not easily damaged. Its online documentation is second to none. The missing final star is due to two facts: inter-robot communication using infra red is somewhat unreliable and no programmable attachments can be added. 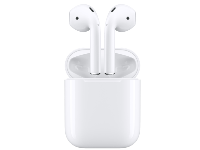 Overall, however, an excellent product for a very reasonable price.The product is well priced. It has all of the required features built in for for operating a basic robot such as light sensitivity and obstacle detection. It serves as an excellent introduction to programming since it can be programmed using both a block language and Python. 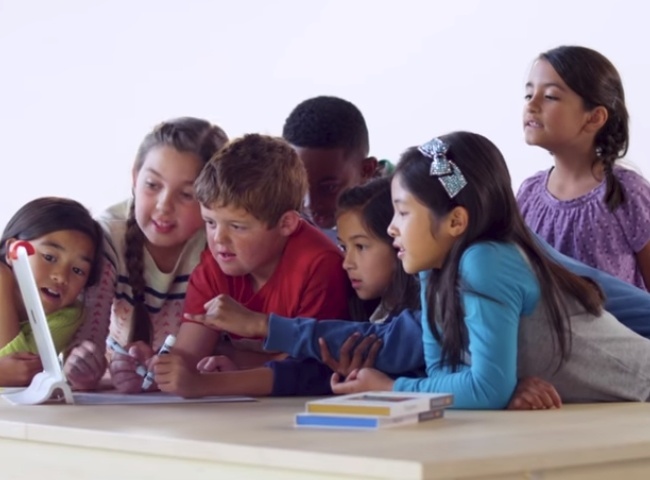 In a classroom situation it is robust and not easily damaged. Its online documentation is second to none. Overall, however, an excellent product for a very reasonable price. Great fun for a class activity. Using basic scratch program you an instruct you car to move. I could see us having hours of fun with this across all age levels...just wish our small country school had the budget for a set.Great fun for a class activity. Using basic scratch program you an instruct you car to move. I could see us having hours of fun with this across all age levels...just wish our small country school had the budget for a set. Hours of fun here. And educational.Hours of fun here. And educational. Bought two of these for my 11-year-old brother for his combined Christmas and birthday gifts. They are excellent. In one day he had mastered basic concepts like variables, conditionals and loops. He has since demonstrated some pretty good programming skills debugging his projects. I thought the syncing of programs through the headphone jack was weird at first. 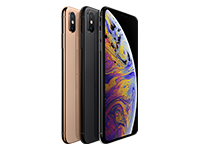 But as pretty much any device has one it has made it incredibly simple and hassle free without the need for drivers and permissions on a huge range of devices (including his iPad).Bought two of these for my 11-year-old brother for his combined Christmas and birthday gifts. I thought the syncing of programs through the headphone jack was weird at first. 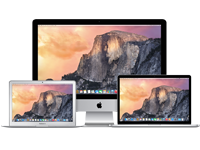 But as pretty much any device has one it has made it incredibly simple and hassle free without the need for drivers and permissions on a huge range of devices (including his iPad). Bought 5 for use with children. Incredibly easy to programme thanks to the bar code scanning system. Huge amount of fun. Easy to programme old TV remotes to move around (so this is why I have kept them for years!). Lot of fun to build an obstacle course and then have car races using the TV remotes. 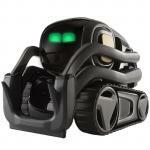 Haven?t got into programming using the application but looks great and that?s next!Bought 5 for use with children. Incredibly easy to programme thanks to the bar code scanning system. Huge amount of fun. Easy to programme old TV remotes to move around (so this is why I have kept them for years!). Lot of fun to build an obstacle course and then have car races using the TV remotes. Haven?t got into programming using the application but looks great and that?s next! 7 and 9 year old have learnt programming skills already from this !7 and 9 year old have learnt programming skills already from this ! 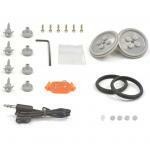 Edison EDS0001 Spare Parts Pack, Incl EdComm Cable, Battery Door, Wheels, etc,.